I’m so honored to be part of ALA this year. And my friends at Disney-Hyperion have a very special surprise in store for you word lovers. Join me on Saturday, June 27, 3:00-4:00p for SPEED DATING, and on Monday, June 29 for a very special book signing at 9:30 a.m., Disney-Hyperion Booth (#1028 South Hall). 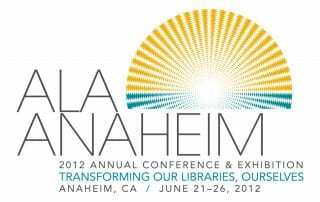 It's time for the next exciting event: The American Library Association (ALA) annual conference in Anaheim. I can't wait! I’ll be signing advance copies of Time Between Us along with Alexandra Bracken (The Darkest Minds), Rachel Cohn (BETA), and Dan Krokos (False Memory).